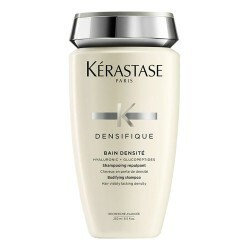 1 This product repairs dry and damaged hair. 2 It gives shine and Frizz control. 3 It gives thermal protection. 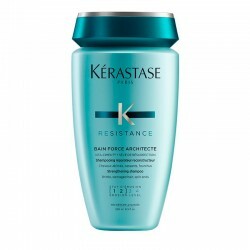 4 It leaves smooth and silky hair. 5 It gives protection of color, with UV and UVB filters. 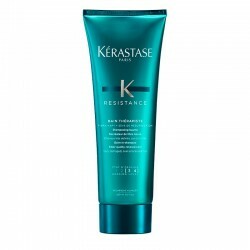 6 It eases the brushing and the use of hair iron. 8 It gives body and volume. 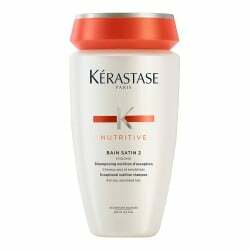 9 It prevents split ends. 10 It maintains the hairstyle for a longer time. Apply about 20 cm. 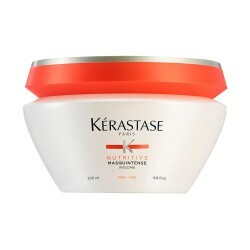 hair (short hair: 6-8 sprays, medium hair: 7-12 sprays and long hair: 10-15 sprays). Complete with your usual style: brushing, iron, air, etc. Use usual finishing product: foam, hair spray, etc. Apply on the palm of the hand (short hair: 2-3 sprays, medium hair: 3-5 sprays and long hair: 4-6 sprays). Rub the product between your hands and apply on hair from the middle to the ends. If needed, review the hairstyle with iron or hairdryer. If you wish, use usual finishing products: foam, lacquers, etc.